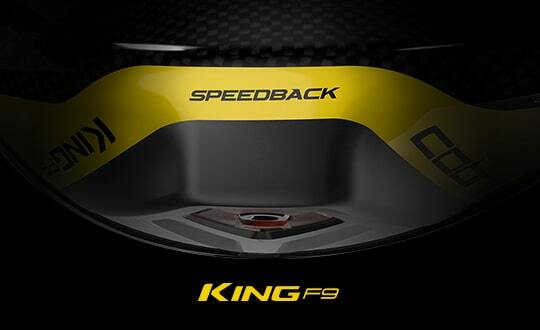 The KING Forged ONE LENGTH irons debut as COBRA’s first ever single-length forged iron set. Inspired by rising PGA star Bryson DeChambeau. I apologize ahead of time as this review is going to be long and I am going to ramble on. I hit these irons in my local golf shop and loved the look at the ball, reminds me of AP2, maybe a tad thicker top line but I like the look, compact but not intimidating. The feel surprised me, one of the best feeling forged irons I have ever hit, and I have hit all of the major brands forged irons from the last five years and these are near the top(Mizuno MP-4 being my favorite of all time). What surprised me most was when the irons showed up at my door. The build quality, fit, and finish of these irons was second to none. I have always been a Titleist guy, as I have felt their finish and build quality was the best. I have always been under the misconception that cobra irons were second rate when it came to build quality, and overall finish, but wow I was wrong...These irons are beautiful. The finish is beautiful, and these irons were built to perfection from the grip to the ferrule these were built with care and by someone who knew what they were doing. This is coming from someone who is extremely particular about how a club looks, and I am extremely satisfied with how these clubs came out. I can't comment on how these perform on the course, but that's more down to me, I just want to make sure if you are considering Cobra and are worried about a high quality fit, finish, and build... don't be. You will not be disappointed as I have owned a lot of irons(Ping,Titleist,Callaway,Mizuno) and these are probably the best as far as build quality I have ever purchased. Cant wait to get these out of the course and see if One Length can help my game. If the One Length does not work out for me I will definitely be getting a set of these in the variable length. Shout out to Cobra's custom build Dept. as these irons look fantastic. Thank You. Love the one-length approach. I honestly feel this should be the normal way clubs are made. Best feeling irons ive ever hit, consistent and smooth. Hitting all my shots as pure as ever and finally feel comfort with every swing. I blended a set with the Forged Tour irons. Normal progressive lengths from 7 - PW and then 4, 5 and 6 iron are One Length. Finished off my set with the One Length 3 utility iron. Hitting my mid and long irons so much better and my scores are coming down. Great clubs. I’m a lefty and when I heard that cobra were launching the f8 one length I decided to order a set as I believe that the whole one swing for all clubs makes a lot of sense. However to my disappointment I was notified by cobra South Africa that they do not have them here and couldn’t really help me. So I got into eBay and ordered a set from maple hill golf in the USA. They were brilliant and I got my clubs last week . Played my first round on Friday ...was a disaster as I hadn’t gone to the range to adjust to the swing patterns . I was determined to sort out this problem and practiced on Saturday and this morning back in the range was flushing every club in my bag . I'd love to see left-handed King Forged One irons. I'd buy them on the spot. As the rest say - sweet. Whwen I got them, i could not hit a ball. I had the lie adjusted and stuck at it for a few rounds - then, the magic came. Sweet hits are a delight. Ball flight is steepled and penetrating. Great clubs, highly recommended. Love the clubs. The feel of a well struck ball is like hitting butter. One length has added confidence in my irons. Highly recommended. Always loved the idea of same length irons and when Bryson got his way I got mine too. Switched from RSi 1’s that I loved but not as much as these ! Nothing but control all the way through even if I have lost 5 yards at the top end the dispersion is much tighter allowing lower scores. Best irons going for me. Unless you've given these clubs a proper try, you will not be able to appreciate the ease of the transition to one length clubs. I have been fitted for 3 sets prior the One Length set. They take some getting familiar with after converting from traditional sets but after some range time you will reap the benefits of the same length throughout the set. Very impressive look at address, along with easy workability and consistent ball flight.... I would recommend to any golfer from beginners to avid players. Excellent job! I've been playing these beautiful irons for a couple months now and I love them more and more with each strike. Adjusting to one length is easy. Adjusting to the gained yardage and consistency was even easier. Overshadowed by the discussion of one length engineering is how pure and powerful impact feels due to great head design. I hope to see matching one length hybrids soon. If you are my competition on the links then I say, don't get them. If i never have to play against you then, yes, get yourself a set and be amazed at the consistency your new iron game. I was sceptical at first and now, after a season of steadily improving iron play , I can't see the logic playing traditional specs irons. Oh! and the lefty one star review makes sense because there is only one lefty star on tour. Just played my 1st round with them. Nick at Cobra customer service had them in NH in 5 business days on a custom fit order. Absolutely loved them. Purchased 5-GW and may purchase the 4 iron at some point, but never used it in my last set so I'm in no rush. You just need to trust the swing and forget the one length. Best shot all day was 5 iron from a fairway bunker about 182 out and hit the right side of the green. There great. Thanks Nick and Cobra! Got fitted in the morning, I happened to be standard lenght and lie. Bought a set off the shelf in the arvo. Hit around 200 balls next morning then played a round to shoot 71. The transition was easy for me I found the high lofted irons easy to use . Only played 4 rounds with these so far,but have felt more confident and comfortable each time out,Rate these as the best clubs I've ever owned,Feeling is pure off the face,They just work. Same swing and ball placement everytime it's unreal. Won my Division on my first time out with these Clubs. Dropped 2 shots with 41 Stableford Points. Then went to Gramacho in Portugal and shot to my new handicap... My previous clubs Ping G and Titliest AP2 , the only way was up with my handicap. What an Innovation - Shot dispersion is really close now. Distance is good but all round control is far better than anything I've ever used before. Great Clubs making the game easier....WELL DONE COBRA and Bryson!!! You might actually gain distance in the long irons. I did. I'm now hitting my four iron up to 220 yards when before I was only hitting my 4 iron around 205. These irons also feel so pure when struck well. I love them! Still getting the higher irons figured out as I hit a lot of pulls with them, but overall I'm more accurate with this set and I'm very happy with my purchase! the weirdest part was how I didnt lose any distance. a lot of people say that the long irons launch substantially lower and I guess they do but I did not have a problem hitting them high. I admit I hooked a lot of the short irons I hit but that was on me not the irons. they are the real deal. highly recommended. What can I say, these have been a pure pleasure to play with. I brought these sitting at a handicap of 15 and I'm now down hovering between 11 and 12. With a bad back as well, these have helped with my lower and I'm now walking away from 18 feeling just fine. I hope they can now look at the driver amd woods so I can complete my set. I swapped these out for an old set of Mizuno MP60's. I was nervous about the gapping and the distance in the long irons, but I have had great results with both. Having one iron swing to work on has made a real improvement in my game as my practice time seems better spent now. Loving this set! I have been playing these clubs for about a month. The irons are really good. The transition to single length is extremely easy and fast. The first time you look down at a shorter than usual 5i or longer than usual PW it seems odd. But then you hit a bucket of balls and it starts to feel normal. Then you start to realize the benefit of single length, a sense of consistency and comfort with all your irons. Single length works. Plain and simple. The 4i and 5i have slightly lower trajectories for me. The PW flies a little higher. Gapping is good throughout. I've lost no distance from my prior set - may have actually gained a bit. The finish on the clubs is great. After a month with a lot of practice and play the faces look nearly new. Distance control is superb with these irons. I am finding myself pin high more than I was previously. Dispersion is also tighter. bought these in February. Have about 12-15 rounds on them and have grown accustomed to the one length technology. i used to play Mizuno Blades so having that soft feel is great. Still getting used to the 4-5 iron, a little low flight but love the rest. Got a hole in one back in April with the PW. My GIR % is up approx 20% so far and steadily climbing with each round. Hit 100% of the front nine greens a few weeks back with 67% on the back nine. I got these irons after several weeks of debating. The technology really makes sense one swing every time you swing the club. If you think this is a gimmick I am a plus 2 hdcp and a nationally ranked senior amateur player and for me to change equipment is monumental. I have played three tournaments with them and after 10 rounds of tournament golf the highest round I have posted is 72 and the lowest 65. Put all you doubt and old ways to the side and give these irons a try you won't go back to your old irons. Been playing forged one length for a couple of months. Simply awesome! I'm an 8 handicap weekend warrior. Swing speeds are consistent throughout the set which makes distances very consistent. Great feel, soft and workable irons. Great job Cobra!! You made golf fun again. These are by far the best set of irons I have ever owned. I have been playing for over 30yrs and I have never been as consistent as I have been with this set. The feel of these clubs are incredible. I put them in play in January and my scoring has been so consistent it's scary. These really are a game changer. 3 birdies in 12 holes! I got these clubs last week and hit 30 balls on a simulator and then ended up playing 12 holes the following day. Like someone else says it feels like cheating! These irons are easily the best irons I've ever played. I'm 37 been playing since I was 12 and I've had every equipment company imaginable in my bag. Consistency throughout my bag like never before. Distance is the same. Shot dispersion is super tight. Impact feels like butter. I have the entire set 3-GW and the extra two wedges as well. Game changer! I am a mid-handicap player. When I ordered these clubs, I thought that I would hit better the long irons but not be as accurate with the short irons. I am hitting my long irons better but, to my surprise, I am also hitting my short irons better than ever. 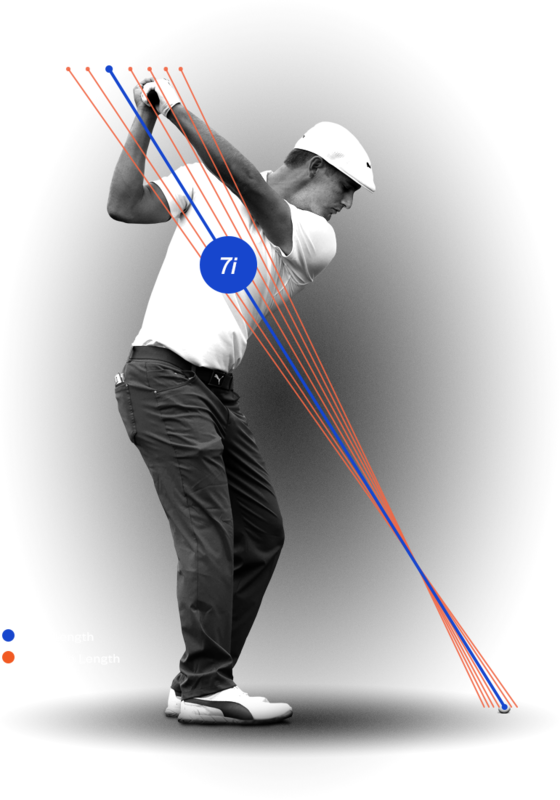 The trajectory with the short irons seems to be higher and the ball has less roll. I have just ordered the GW, 56, and 60 degree wedges. I can't wait to play with them. these clubs were made for me. I have had this set for a few weeks, the grips were not my favorite, but the impact felt like absolute butter!!! and the consistency on my impacts has greatly improved. very little fat shots. have since installed my preferred grip and am super happy. now looking at the one length wedges. I am a high handicapper who has always struggled with my irons. These irons brought the fun back to my game. I am now hitting a lot more straight shots. One length, one set up. These are the best irons I have ever used. I got them a few weeks ago, and they are very nice. Took a little while to adjust to the single length, but suspect the more I play them that muscle memory will replace what's there for my previous set. The only disappointment is in not being able to get them a little longer, but that's not anything that's wrong with the clubs - I'm just tall. Just picked up my King forged one length with the 120g shaft. I hit these at the Merchandise Show both at demo day and in the booth. After talking with one of the R and D guys at demo day I was convinced. Can't wait to dial them in on the range tomorrow. Best looking heads out there. Awesome Baaaby! I'm a 7 hc and have played forged mizunos for years. Decent iron and wedge game. I demoed these at vans and bought them, put them in play immediately. They are excellent, good gapping similar to my mp-54s, butter soft and surprisingly forgiving although look like a players forged iron. I bought 4-gw but I am not a fan of pw and gw, I get much better flighting and control with my old pw and 588 wedges, so I am playing 4-9i currently and am very pleased with this concept and high quality overall. Fyi the 4i launches lower and gw higher than normal; I dont mind this but some would want a higher traj with less runout on a 4i (this is why we replace 3/4i w hybrids anyway). Overall stable and consistent through impact and I love the kbs shafts, this is understated but I think a big reason these gap correctly along w the head tech of course. I have played 5 rounds with them so far, I am pin high or on the green more often, long iron approaches are much simpler and the horrendous head scratcher shot has been rare. I've played 6 rounds so far and have to say these clubs have tremendously improved my ball striking and GIR %. Now I just need to find a driver. I'd also like to see a 3 iron in this set. Background. I am a high handicapper (15-20). These clubs provide consistency to me. Same set up. Same swing. More consistent results. Hit each club about 10to 15 yards further than my old mizunos. The results are much more consistent. I spray the ball less. Mis hits are much more forgiving. Same distance just left or right. Love these clubs. The concept works. Plain and simple. I've been playing the forged one length irons for 2 weeks and absolutely love them. I actually prefer the longer length short irons. They generate more spin than standard length clubs so they hold the greens better and chipping with a single length GW is so much easier than with a standard length club. The 4 and 5 irons launch lower than I would like but this can actually be useful when you're hitting into the wind. Just wish they offered a one-length 3/4 hybrid/utility iron. Something that could launch the ball 3/4 iron length but with a much higher ball flight would make the one length set complete. I went to Demo Days at the club tonight. I have always had an interest in single length so I took some swings with the 4 iron and PW. Wow...the PW practically swung itself, very consistent. I'm not sure about the 4 iron, hit it straight as an arrow but seemed to be 5 iron distance. Only drawback is no 3 iron, which leave me a gap in the 200-210 range. I think that they have something here,I tried this with a set but couldn't get the swing weight right,went to my pga superstore and hit the forged just like my old cobra forged, the orange ones well this hit is great and very repeatable i just wish they had the regular flex c-taper lite shaft,hit the stiff 120 gram bit too much for me HOWEVER HIT FROM THE SAME SPOT MADE ME FEEL REAL CONFIDENT AND NO SPRAYING! Excellent but where are the wedges? I bought the long irons in one length and stayed with traditional length with 8- wedges. I really like this set up however I may be convinced to do a completely one length set up. On the range, I actually laughed out loud when I hit my first shot with the one length 5 iron. It was incredible, perfectly straight. The trajectory is was what you would expect with a traditional 5. The forged irons felt so pure and carry a mile. Next shot, pulled out the 6, same swing, higher trajectory, about 10 yards shorter. Amazing.The 7 iron was the same story. I do not believe this set up will be for everyone, but it is with a doubt worth a try. Seriously. These are the best irons I have ever owned. I might have lost 2 or 3 yards on my 4 and 5 irons and my PW is the same distance that it's always been. The big difference is that I'm so consistent with them irons. Extremely easy to hit and you get that great forged feeling. Go buy them now! Played three rounds so far with these irons and they get better each time. I picked up my other set of irons and they felt weird and I put the one length back in the bag. These are a total WINNER and you should play these sticks! Much better than standard length clubs. Why didn't anyone do this earlier? I just finished getting fit by a pro with a launch monitor and lie board fitting with these at an outdoor range (They had a complete set). The numbers I was seeing were excellent and the gapping was fine. Everyone who hit the oneForged were sorry they did, because now they want a set too. Only caveat is I found the 4i to be difficult to hit, but 5-GW was perfect. I've been playing for 20 years. I have a very relaxed easy tempo. 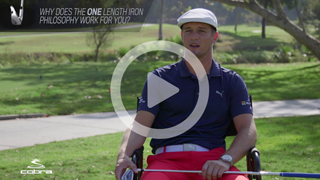 Short irons are not a problem but timing on the longer irons are a bit tricky. These irons have made golf a lot more simpler for me. Both on the range and during my practice sessions. 4-PW I have drilled it down to one swing and timing has become super easy. It's a MUST try!. I ordered a 4i and PW and had a change to hit these today. I was very impressed with the look and feel of the forged irons. I found the irons launched comparably to my existing set of muscle back irons; however, I found much greater consistency in ball striking-- particularly in the 4-iron. It felt like I was cheating. I have already reached out to my club to order the remaining clubs in the set. I spent the last year with a single length set of my own creation. While suitable for an experiment, I am certainly glad that there is now A high quality build available. The forged heads reward a good strike and are forgiving enough with just the right amount of feedback on soffit center hits. Great use of CG as well to alter trajectory. Can't go wrong with this set, or the single length concept in my opinion. Thx Cobra for breaking the large company entry barrier and doing it with a product! I have been waiting for a one-length set for awhile. I just received by forged set. 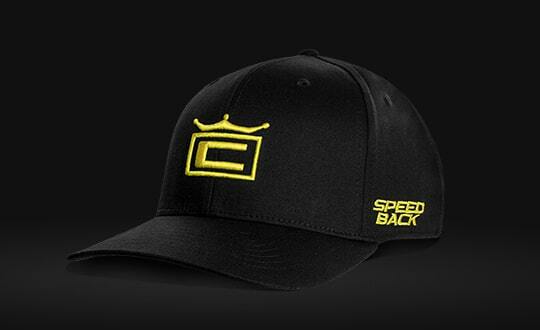 Cobra hit a home run with these. They look great and they perform just as well. The distances are spot on with my previous variable length clubs. Launch monitor numbers show no drop off in carry distance though my lofted clubs go a bit higher than before and the less lofted clubs go a bit lower. Single length clubs just make sense. The concept is very basic and once fully understood makes the switch much easier. The 4 iron is incredibly easy to hit and very consistent. The 9 and PW were a lot easier to control than expect. I'm definitely a one length convert. The guy above is just a hater!!! They are awesome! 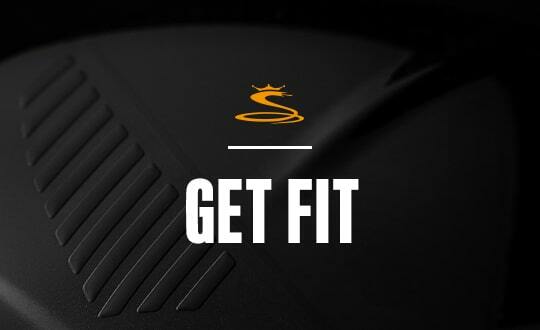 Feel amazing, looks are superior, performance more consist ant guaranteed. Place ball in middle of stance like a 7 iron and watch even the long irons fly straight at the pins. Easy to game even for mid handicappers for higher handicap go with f7 single length!!! Must buy for anyone looking to improve there game!! Wish there was a 3-iron as part of this set at 19 degrees. Super interested in the irons anyway, but it feels like not having a 3 iron leaves an awkward gap. I have been researching one length clubs for three years and finally my favourite brand releases a pro forged model and no left handed clubs. I realize Cobra needs to make money but I am not giving them my money to a compromise in club peformance.